Another bug in Exchange 2016 CU2. The Role of a new receive connector is greyed out. You can select “Front-End-Transport”. This is a screenshot from a german Exchange 2016 CU2. Use the Exchange Management Shell to create a new receive connector. Afterwards, you can modify it with the Exchange Control Panel (ECP). 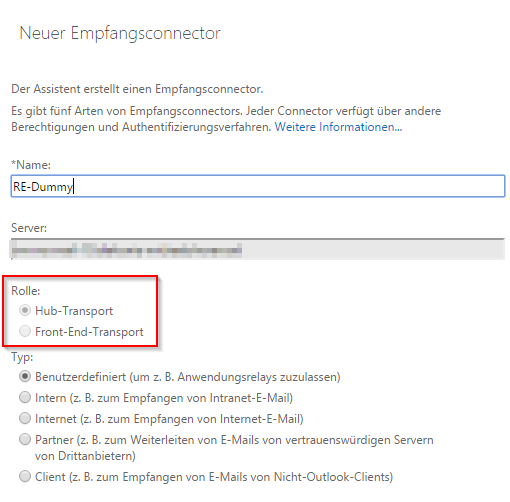 le "FrontendTransport" -Bindings ("0.0.0.0:25") -usage "Custom" -Server "exchange1"
Microsoft has confirmed, that this is a bug in Exchange 2016 CU2. This entry was posted in Software and tagged bug, exchange, exchange 2016, microsoft, windows on July 11, 2016 by Patrick Terlisten. As any other environment, my lab needs some maintenance from time to time. 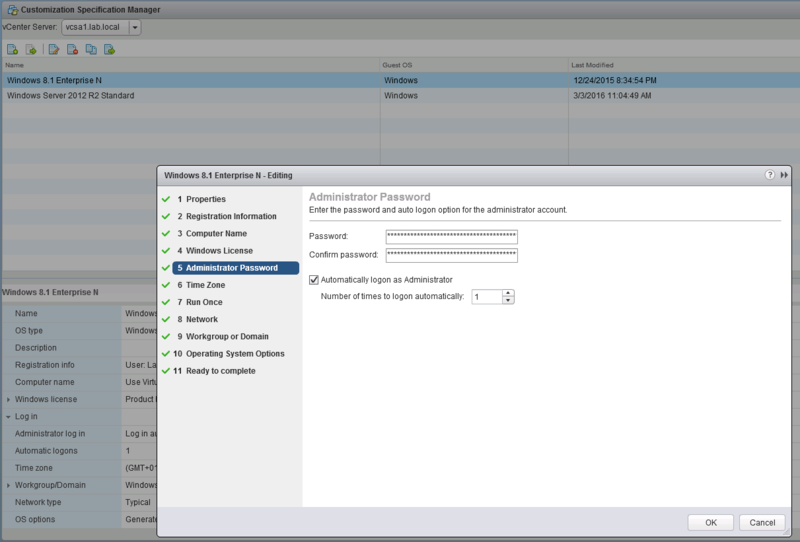 I use a Windows 2012 R2 VM with the Windows Server Update Service (WSUS) role to keep my Windows VMs up to date. 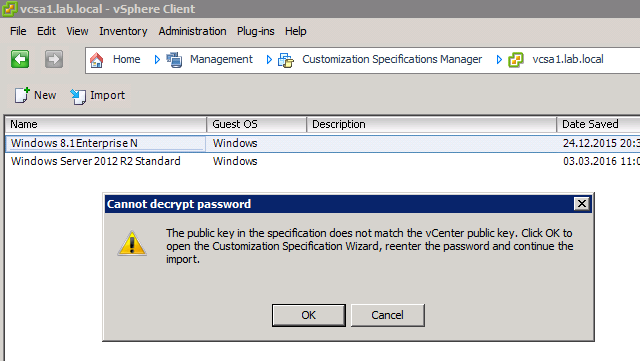 Like many others, I was surprised by KB3148812 (Update enables ESD decryption provision in WSUS in Windows Server 2012 and Windows Server 2012 R2), which broke my WSUS. But the fix was easy: Uninstall KB3148812 and reboot the server. The WSUS product team published an artice about this known issue in their blog: Known Issues with KB3148812. In the meantime, Microsoft has published a new update, which supersedes KB3148812: KB3159706. Today I wanted to check the update status of my VMs. Unfortunately, the WSUS console was unable to connect to the WSUS server. 2016-05-22 02:01:03.191 UTC	Warning	w3wp.19	SoapUtilities.CreateException	ThrowException: actor = http://wsus.lab.local:8530/SimpleAuthWebService/SimpleAuth.asmx, ID=79bf356b-4f58-4cac-a4aa-b52ec6e0bf38, ErrorCode=InternalServerError, Message=, Client=? 2016-05-22 02:01:10.066 UTC	Info	w3wp.16	SimpleAuth..ctor	Initializing SimpleAuth WebService ProcessID = 968, Process Start Time = 21.05.2016 21:43:13, Product Version = 6.3.9600.18324 2016-05-22 02:01:10.066 UTC	Error	w3wp.16	SimpleAuthImplementation..ctor	Exception in SimpleAuth constructor: System.Data.SqlClient.SqlException (0x80131904): Cannot open database "SUSDB" requested by the login. The login failed. Login failed for user 'NT AUTHORITY\NETWORK SERVICE'. 2016-05-22 02:01:03.191 UTC	Warning	w3wp.19	SoapUtilities.CreateException	ThrowException: actor = http://wsus.lab.local:8530/SimpleAuthWebService/SimpleAuth.asmx, ID=79bf356b-4f58-4cac-a4aa-b52ec6e0bf38, ErrorCode=InternalServerError, Message=, Client=? 2016-05-22 02:01:10.066 UTC	Error	w3wp.16	SimpleAuthImplementation..ctor	Exception in SimpleAuth constructor: System.Data.SqlClient.SqlException (0x80131904): Cannot open database "SUSDB" requested by the login. The login failed. After some searching and examination of the recently installed updates, I came across KB3159706. 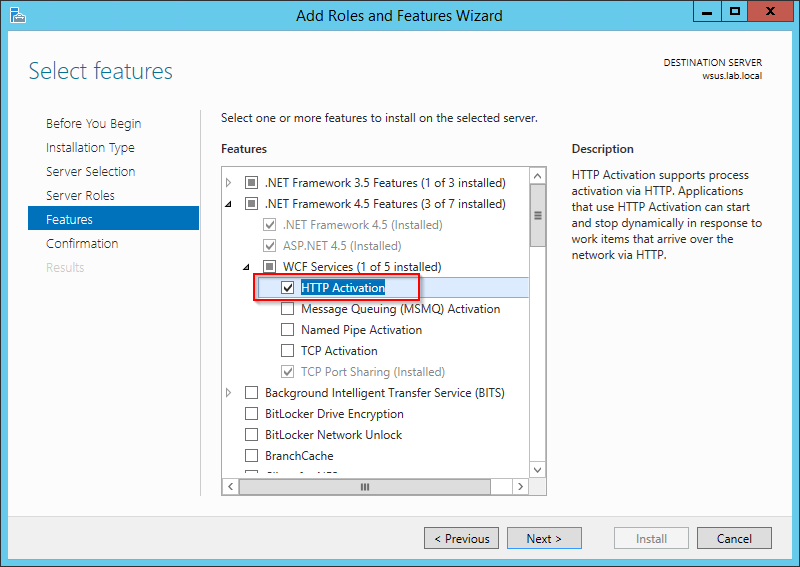 Then you have to install the “HTTP Activation” feature under “.NET Framework 4.5” features. After a restart of the WSUS service, the WSUS should work again. The installation of KB3148812 on a WSUS server will break the WSUS installation. Because of this, Microsoft has published KB3159706. If you install this update (in my case it was installed automatically over WSUS…), you have to execute some manual steps to ensure that WSUS works as expected. The WSUS product team is aware of this and they pointed this out in their blog article “The long-term fix for KB3148812 issues” (you will find a hint directly at top of the blog article). This entry was posted in Software and tagged bug, microsoft, windows on May 22, 2016 by Patrick Terlisten. MSI (c) (28!50) [10:38:14:496]: PROPERTY CHANGE: Modifying CATALOGPATH property. Its current value is 'D:\Veeam\VBRCatalog\'. Its new value: 'E:\VBRCatalog\'. First, the VBRCatalog folder was located under D:\Veeam, so why the hell was the CATALOGPATH property changed to E:\VBRCatalog? I searched the registry for for E:\VBRCatalog and found multiple entries for it. One of the entries was located under “HKLM\SOFTWARE\Wow6432Node\Veeam\Veeam Backup Catalog”. The entry under “HKLM\SOFTWARE\Veeam\Veeam Backup Catalog” pointed to the correct path. I found some other entries, e.g. in connection with Windows Installer. After changing all found entries to the correct path, the update went smooth. The reason for this error was that the VBRCatalog was moved after the installation. I did this more than 3 years ago and followed Veeam KB1453. But this article only describes the change of the CatalogPath entry under “HKLM\SOFTWARE\Veeam\Veeam Backup Catalog”. You have to change all references to the old VBRCatalog path! 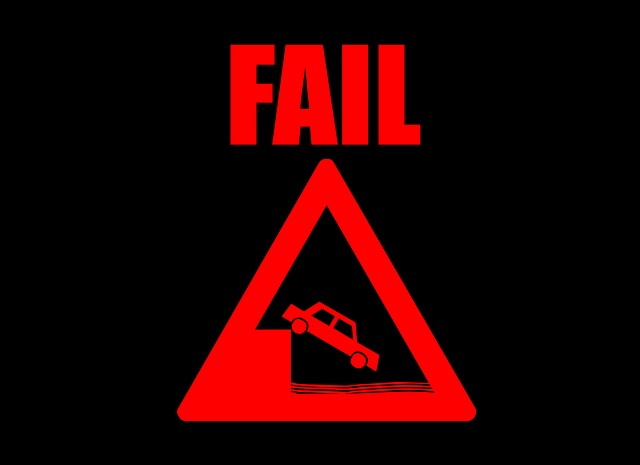 Otherwise you will run into the same error as I. 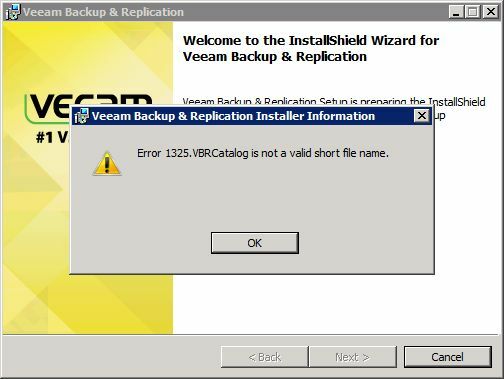 This entry was posted in Software and tagged backup, bug, knowhow, veeam, vExpert on October 20, 2015 by Patrick Terlisten.